Starring: Asa Butterfield, Chloe Moretz, Ben Kingsley, Sacha Baron Cohen, Ray Winstone, Emily Mortimer, Jude Law, Christopher Lee, Helen McCrory, Michael Stuhlbarg. “My friends, I address you all tonight as you truly are; wizards, mermaids, travelers, adventurers, magicians… Come and dream with me.” These are the words of magician/director George Méliès (Ben Kingsley) and also the very words of director Martin Scorsese in his love letter to all things cinema. Paris, 1931. Young Hugo (Asa Butterfield) maintains the clocks of a great railway station while avoiding a guard (Sacha Baron Cohen) intent on sending him to an orphanage. 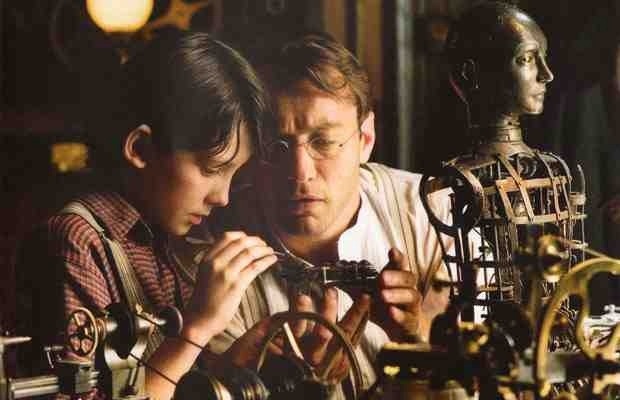 Aided by Isabelle (Chloe Grace Moretz), Hugo gets an automaton left by his late father (Jude Law) working. It draws a picture, which prompts the children to delve into the mystery of an unhappy shopkeeper (Kingsley), at this very station, and his intriguing history. Cinema is to be enjoyed and is the biggest, modern medium for means of escape. Granted, Scorsese allows us to escape here but doesn’t really escape to anywhere noteworthy. The whole film looks absolutely magnificent (thanks to Robert Richardson’s sublime cinematography) and Scorsese’s use of 3D is the best I have seen yet. He doesn’t rely on action set-pieces to get it across but concentrates more on the basics; snow falling, steam drifting and passers-by in order to fully immerce us in the grand scheme of things. It works a treat and looks wonderful but ultimately remains just a visual spectacle, instead of the adventure in which it proclaims to be. In fact, the biggest moment of entertainment comes from his use of archival footage of the great Harold Lloyd and his classic clock tower stunt from “Safety Last!” in 1923. There’s no doubt that Scorsese is a film buff and feels the need to remind us of the craftwork and illusionary beauty of some forgotten pioneers of cinema but he doesn’t quite achieve anything worth noting in telling his own tale. The use of 3D is magnificent (and sometimes distorting) but even that will eventually be bettered in time. Fine performances are included, young Asa Butterfield is commanding throughout but some, like Emily Mortimer, Ray Winstone and Christopher Lee, are wasted in thankless roles. In fact, the film has everything going for it but somehow, strangely, seems uneventful. As a visual spectacle it’s outstanding but also somehow laboured and tedious. Maybe my expectations were too high going into this. Scorsese’s Oscar nomination for best director is well deserved but I found myself waiting for something to happen and… it never did. What it does do, is allow you to appreciate the craftsmanship and wonderment of cinema, and being Scorsese’s obvious intention, it at least achieves that. This entry was posted on February 5, 2012 at 4:23 pm and is filed under Drama, Family, Fantasy with tags 2012. You can follow any responses to this entry through the RSS 2.0 feed. You can leave a response, or trackback from your own site. “Scorsese allows us to escape here but doesn’t really escape to anywhere noteworthy”, “it works a treat and looks wonderful but ultimately remains just a visual spectacle, instead of the adventure in which it proclaims to be”, “in fact, the film has everything going for it but somehow, strangely, seems uneventful” : I ABSOLUTELY AGREE. I actually rated this lower. I was very disappointed in this film. I felt sometimes it was unbearably childish but at the same time I was aware that few (if any) children could ever appreciate this movie. Hehe, don’t worry. I’ll be looking forward to your follow. This is an honest review. 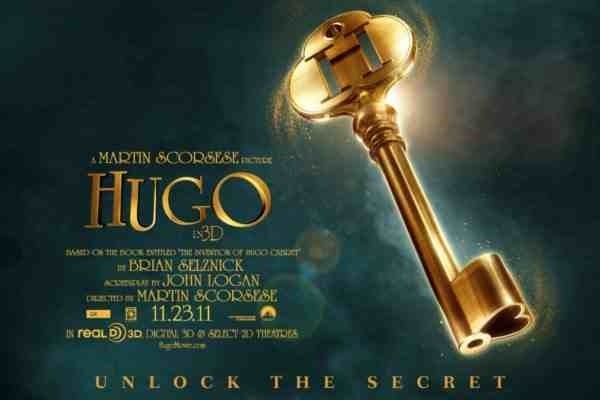 Hugo was enjoyable, but it felt a bit studious, like a film lecture. I suspect this is more enjoyed by adults than kids, despite it being marketed as a child’s film. It’s probably the closest we’ll ever get to Scorsese doing a kids film but maybe he’s better served to the streets? It seemed the superb visuals were wasted on a pretty dull script.